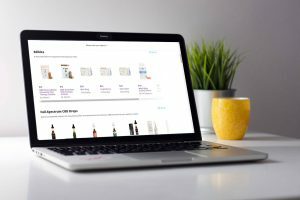 The dominant sales channel for CBD – e-commerce – is becoming a major draw for marijuana manufacturers, who are using hemp-derived CBD to tap into new revenue and a wider consumer base. They’re doing this despite repeated warnings from the U.S. Food and Drug Administration (FDA) that it is illegal to include CBD in food, cosmetics or dietary supplements. The federal agency says it will eventually regulate hemp-derived CBD products, but there’s no timeline for rulemaking. Annual U.S. sales of hemp-derived CBD products could top $1 billion in 2019 and jump to $4.8 billion by 2022, according to Hemp Industry Daily. The number of consumers who purchased products with high-CBD content nearly doubled in California last year, with baby boomers – a desirable demographic – driving growth, according to Eaze, a San Francisco-based cannabis technology company that facilitates on-demand legal delivery. Amy Andrle, cofounder of L’Eagle, a Denver-based marijuana producer and retailer, said she felt some urgency to create L’eela, a separate business that manufacturers and distributes hemp-derived CBD skincare products. Andrle ships L’eela’s products to 40 states and said businesses that enter early have an opportunity to establish market share and brand recognition ahead of anticipated consolidation. “The race is being run, and we want to be in the pace group,” Andrle said. Henry Baskerville, a managing partner at Denver-based Fortis Law Partners, tells clients the legal perils of being sued by a regulatory agency or criminally prosecuted for selling hemp-derived CBD products through e-commerce are extremely low. Would-be entrepreneurs should focus more general business concerns. With regard to the manufacturing of hemp-derived CBD products, there is “such little regulation,” that business owners are at greater risk of having their intellectual property stolen or of not putting safeguards in place in case of a dissolution of a business partnership, he said. The 2018 Farm Bill guaranteed interstate commerce for hemp-derived products, but Baskerville and CBD manufacturers report ongoing product seizures when shipping hemp-derived CBD. In states where medical or recreational marijuana is illegal, there’s also a greater risk for hemp-derived CBD products shipped through the U.S. Postal Service to be confiscated. The USPS said earlier this month that mailing CBD can be “acceptable under certain conditions,” although the memo did not guarantee delivery nor address products considered off-limits by the FDA. Baskerville said that ongoing legal uncertainty about CBD shipments leads him to recommend shipping agreements that transfer the risk of loss to the customer, meaning the manufacturer or distributor is not responsible for lost or stolen items. “Sending (hemp-derived CBD products) through the mail could be a crime, and theoretically you could be prosecuted, but I haven’t seen it happen yet,” Baskerville said. The “massive” uptick in consumer interest in hemp-derived CBD products prompted Eaze to launch Eaze Wellness, a marketplace for hemp-derived CBD products, in November, said Elizabeth Ashford, a spokesperson for the company. Ryan Crane, founder of Tukan, a Chicago-based maker of hemp-derived CBD beverages, ships Tukan’s products to just 40 states, where those products are not prohibited and where there has been no enforcement action against product manufacturers to date. L’eela pays state sales taxes to every state where it ships products. Eaze Wellness requires its brand partners to have certificates of analysis that show products have been tested for potency and contaminants, and it does not feature products that make medical claims. To combat rampant misinformation about hemp-derived CBD, Eaze Wellness also provides consumers with more information about its products, said Sheena Shiravi, a spokeswoman for Eaze. The site answers frequently asked questions – including, “Is this legal?” – and will soon have a guide to help consumers understand doses, she said. “We’re cautiously optimistic” about federal and state rules for products that contain hemp-derived CBD, Andrle added. This will come to a quick end if Elavon is really abandoning merchant processing.